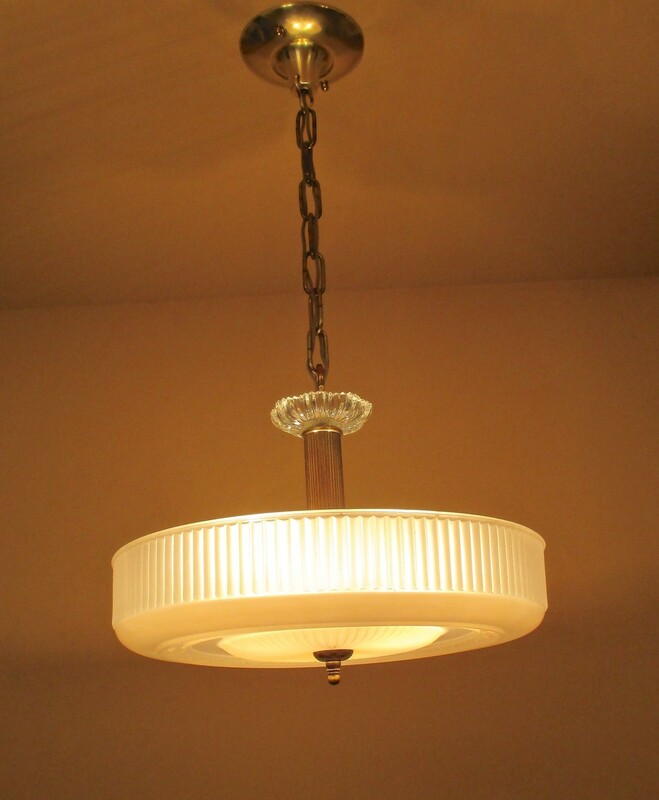 Today I listed a 1930s Art Deco chandelier by Markel. Or is it Moderne? What I love about the fixture is its strong period look. I love looking at it. 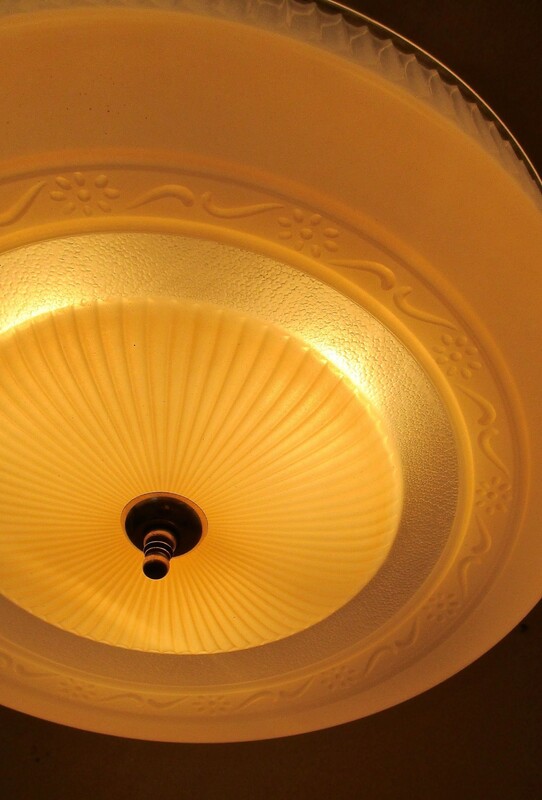 The whole fixture is rather subtle yet rich with details. And all the parts are original to each other. Nice. The shade is a lovely, very very very pale beige with an amber hue (the color is hard to describe). The sides of the shade are fluted, and there’s a sweet ring of flowers on the bottom. A glittering flourish. I love such details. 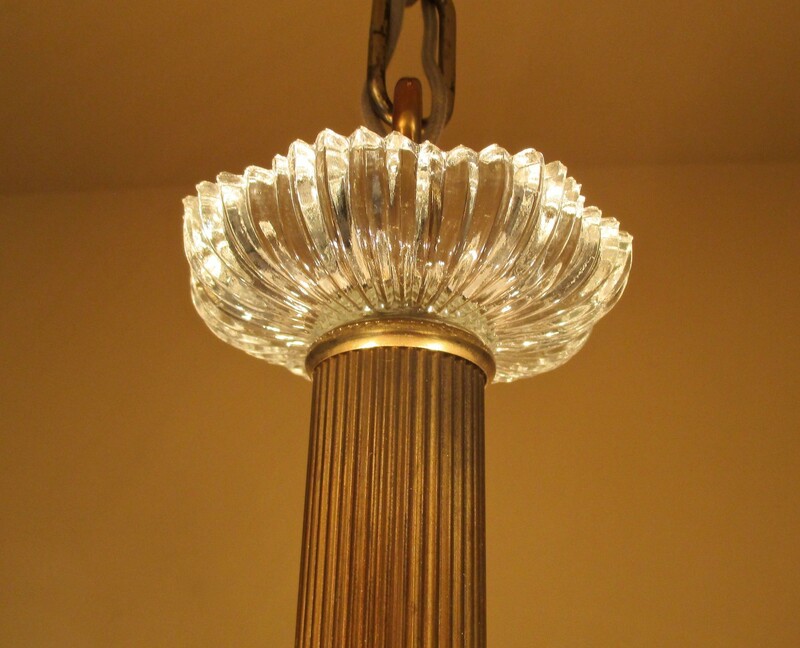 One Response to A Lovely 1930s Chandelier! Oh, can’t you see this hanging in a costume display in a museum? With the sleek thirties fashions, subtle pleats, silk with linen.